These are 6 myths about hair that some of them you surely must have heard of since they are going on from generation to generation. So, let’s have a look at those hair myths and check whether you have also fallen in the trap of believing them. Sounds spooky, even a bit supernatural. I don’t know how to describe this hair myth circulating for ages. When I first heard about it, I could find no logical explanation into it, so I didn’t believe it. Still, when those first hairs appear and you might feel the urge to take them off, there is no way this myth won’t come into your mind, creating some doubt of whether there is a single trace of truth in it. So, what I did when that first hair appeared (or maybe it was the second or the third..:)) was to cut it with a pair of scissors although this can be a bit difficult since you have to be careful not to cut every hair that is around for the sake of just one. The reason that it is not advisable to eradicate grey or white hair is that you may damage the hair follicle and that specific hair might never grow again. Hair experts suggest that if your hair looks dull and dry it is not because you have been using the same shampoo for a long time. The real reasons may be hormonal or have to do with the change of the season, overuse of the hair dryer, bad diet or stress. So, finding various shampoos that suit you is good because you may want to benefit from their different functions or simply because you want to try something different or better and not because of the myth suggesting that you should not use the same shampoo over and over again. The only way you can treat the split ends is to cut your hair ends. Still, there are a lot of effective products that can prevent you from getting split ends, according to user reviews, and these are some natural ones such as Poppy Austin Pure Organic Argan Oil or leave in conditioners. Serums containing silicone are also recommended by hairdressers for split ends but I am not really sure that silicone is so beneficial as a pure natural product such as argan oil or even whipped shea butter. So, this thought of mine was close to reality since hair experts suggest that lots of hair brushing may damage the hair. Still, brushing your hair softly for a few times is beneficial since it activates the circulation so that the follicles are properly oxygenated and the hair remains healthy. It is also good for keeping the natural oils equally balanced all along the hair. This is one of the most common hair myths but the truth is that hair grows approximately 1 to 1.5 cm every month and that doesn’t change regardless of how many times you cut it. A lot of people also feel that if they wash their hair more often, it will grow faster. I used to have this impression especially during the Summer months because it was during that period that I had more contact with the water through swimming and then home bathing. Still, that impression might probably have been created because after swimming the hair becomes straighter and drier. So, that may give the impression that the hair becomes longer. Sleeping with wet hair can make most of the women have hair styles they will regret the next morning or give people a cold but there is no way that the hair will break as long as you haven’t tied it with a hair band. 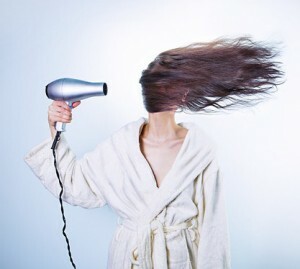 So, wet or not wet, just enjoy your sleep and forget about hair breakage. In conclusion, this was my list of hair myths that are inherited form generation to generation and will probably go on existing for as long as there is hair growing on our heads.